As all travel-savvy digital nomads know, getting a local SIM card as soon as you arrive in a new place is always a good idea. It will not only save you some dinero (💰) compared to international plans but also provide you data to help you to find your way home. So here’s our guide on how to get a SIM card in Medellín. The fastest way to get a SIM card is from a local tienda, or corner shop. But you will need Spanish to make sure you’re getting what you want, top up the proper amount, and activate your package. For our 7in7 Year 3 attendees who aren’t as comfortable in Spanish, the best bet is to visit the Santafé Mall in El Poblado. Not only is it the largest mall in Medellín, but the three providers have stores right next to one another when you enter from the street. You’ll still need some basic Spanish, but you’ll have a dedicated salesperson who is happy to use Google Translate on your phone if necessary. There are a few mobile providers to choose from, including Movistar, Avantel, and Claro. All have prepaid plans. We’ve found Avantel has the simplest buying process. You can find all three scattered around the city in multiple locations. More details here. 2. What do you need to bring with you? A passport is required to get a SIM from a provider’s store. You can get multiple SIMs with just one passport. For example, 7in7 co-founder Nick bought Avantel SIMs for the whole team with just his passport. And yes, you can buy SIMs for people who may not be in Medellín yet. And don’t forget your credit card or cash. As our tester, Nick went to get phone plans from multiple providers. Claro can be a bit of a pain. They required multiple transactions (in one store) to pay for a SIM, activate it, pay for a plan, and then finally activate the plan. Conclusion: Last in terms of convenience. Middle in terms of cost. It was a breeze. Nick went in, asked for a SIM, and walked out ten minutes later with working data. Conclusion: First in terms of convenience, and the cheapest $ per GB. Conclusion: N/A for convenience, and the most expensive option. 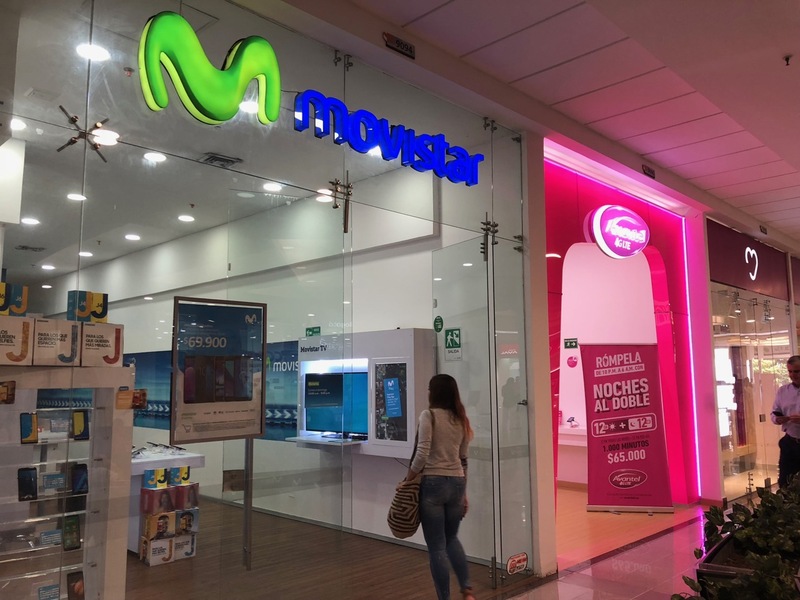 Making calls from one provider (Claro, for example) to another (Movistar ) can be more expensive in Colombia than making calls between the same provider (Claro to Claro or Movistar to Movistar). Depending on how much you will use the phone to call, you may want to get the same card with your buddies. The information above should give you a pretty good idea as to how to get a SIM card in Medellin, but in case you will be traveling around to distant pueblos and want to make sure you get the best plan possible, here is a great blog post that links to the coverage map of different providers. Have your own experiences, questions, or comments? Share them in the comment section below!